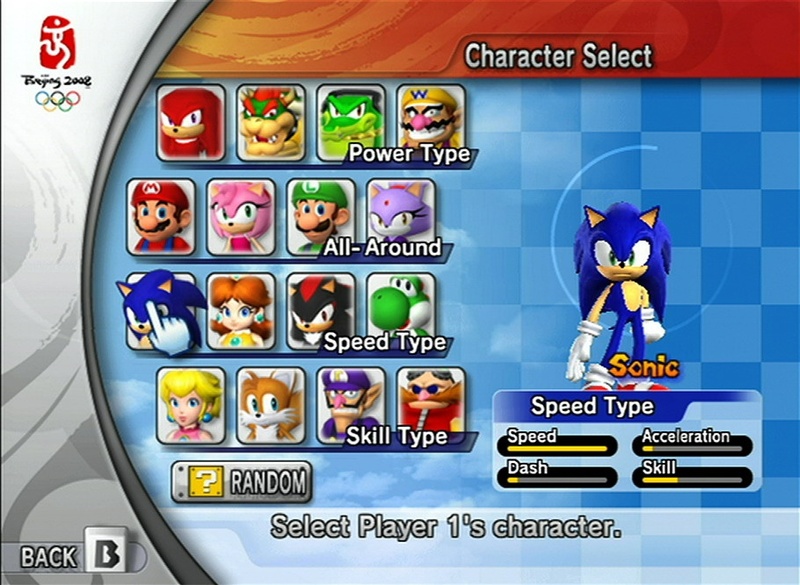 Sega Dreamcast Games on the Wii? 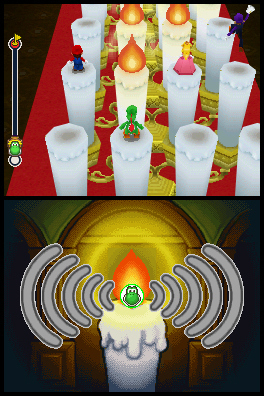 GameStop is know for these little screw ups, but I always wonder what causes these errors. 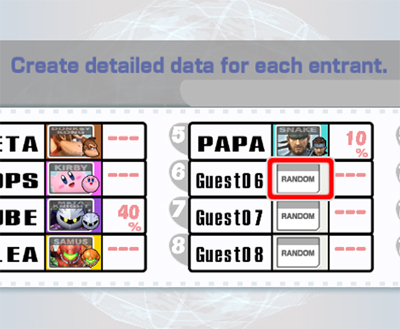 Are the programmers at GameStop just lazy, or just stupid? 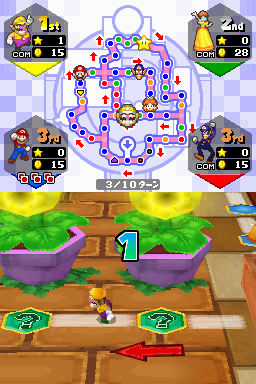 Juex-France recently gave us some new screenshots of Mario Party DS. 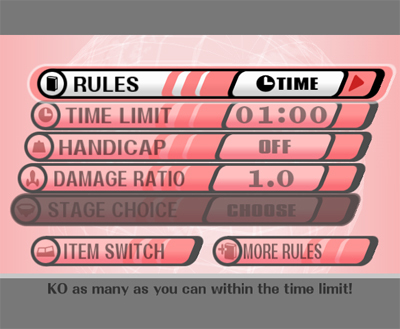 Online functions in Resident Evil: Umbrella Chronicles would be sweet. Below is an excerpt of an interview with Masachika Kawata, Umbrella Chronicles producer. 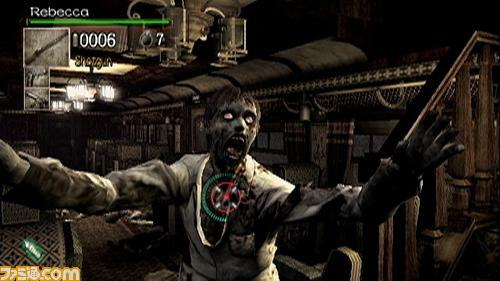 He expresses interest in making Resident Evil: Umbrella Chronicles an Online Game. 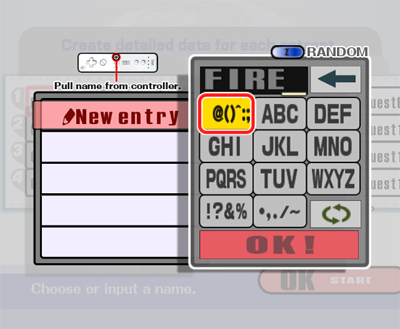 GamePro: Are there plans for on-line functionality for this, or any up-coming, Resident Evil games? MK: We’d definitely like to bring online elements into the game; both Umbrella Chronicles and to future titles. We don’t have any [definite] plans, though we’d like to. [editor note: Capcom’s PR team stressed that online is not a currently planned feature, merely a desire on the part of the developers]. 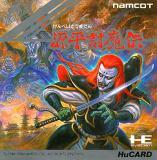 According to Hudson’s website, Gate Of Thunder, Super Air Zonk, and SAMURAI GHOST are set to see the Virtual Console this October. 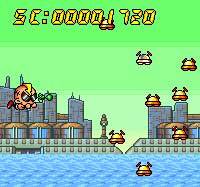 What’s so special about that, well two of those games(Gate Of Thunder andSuper Air Zonk ) are TurboGrafx-CD games, a console that had yet to come to the Wii’s Virtual console. Just a little reminder, that today in the United States if you bring in your your Nintendo DS and your copy of either, Pokémon Diamond or Pokémon Pearl To Toys ‘T’ Us from 12-3pm, you can download a Manaphy. 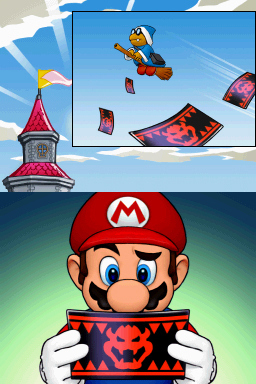 In addition to that, any Nintendo DS game you buy with your download will be 5 dollars off. 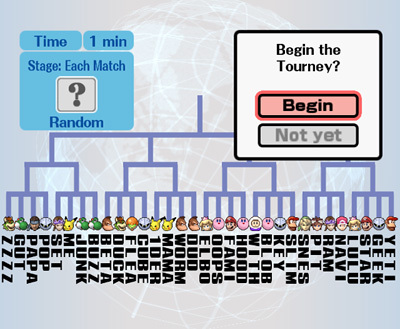 Today the DOJO was updated with information on the game mode “Tourneys”, or tournaments, as it appears in Super Smash Bros. Brawl. 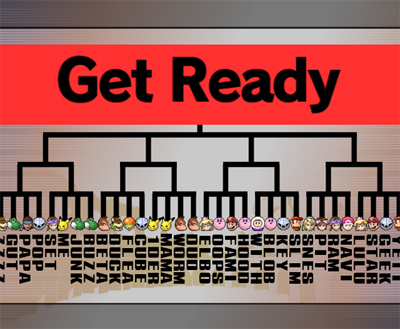 So far 2, 3, 4, and 32 players are confirmed to be able to play in this game mode. 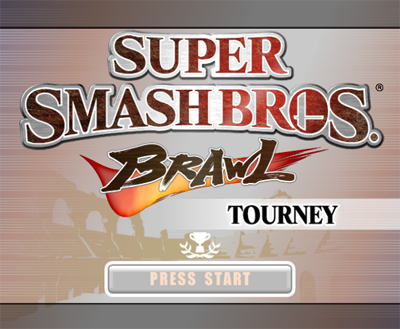 Basically, similar to Super Smash Bros. Melee, many players can fight it out in a game mode until one player is crowned as the victor. 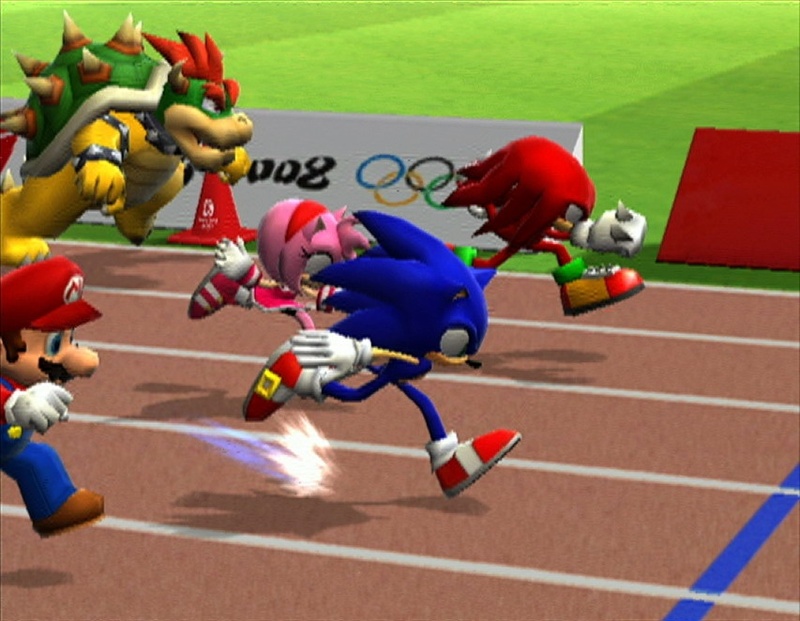 Mario & Sonic at the Olympic Games looks to be shaping up to be quite a good game. 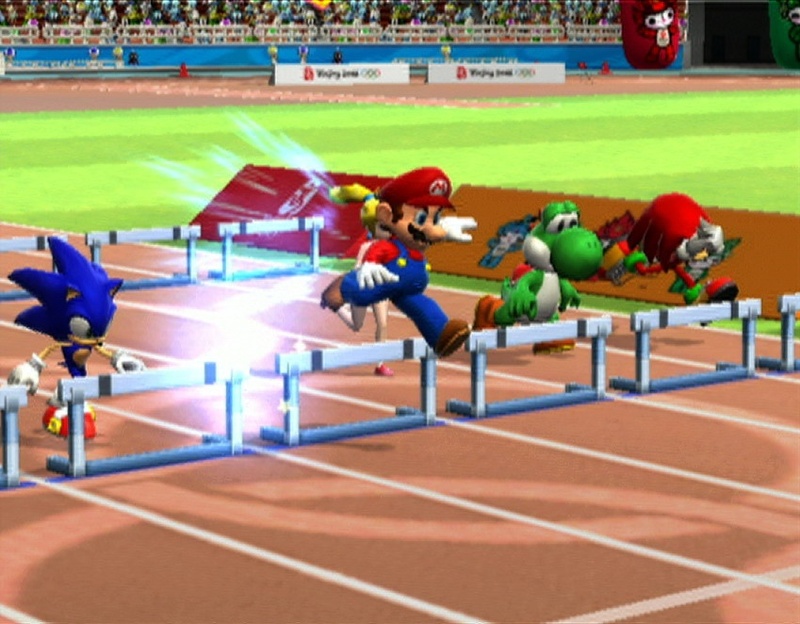 The game is looking so good that Mr. Maeda believes that the game will sell 4 million units. 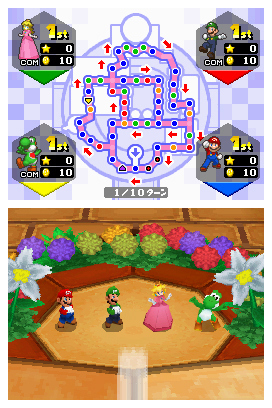 The Wii Version of the game will be released in Europe on November 27th, 2007 and the Nintendo DS Version will be released on the first quarter of 2008. 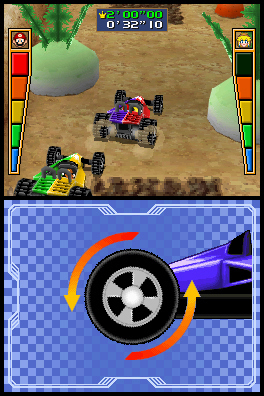 I can’t find a set date for the game’s release in America but Game Stop says November 27th, 2007 for both versions. 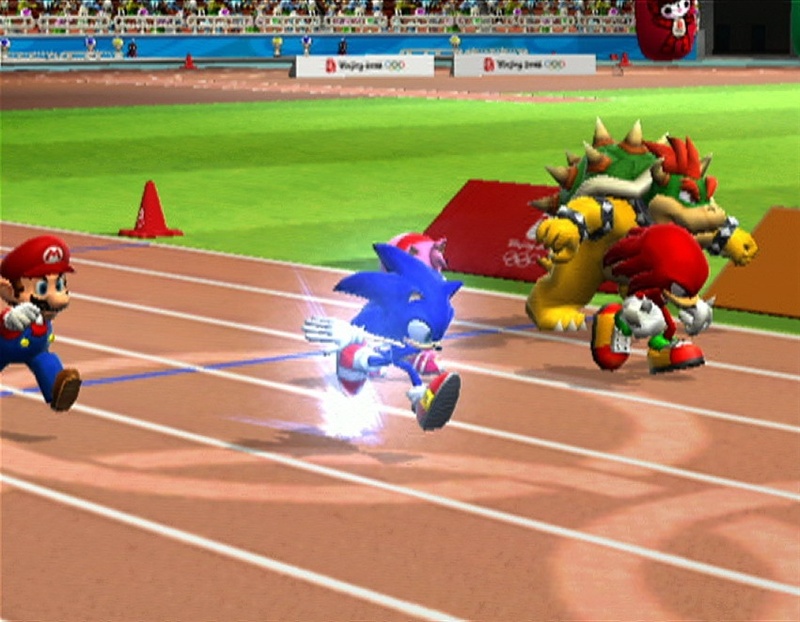 The ESRB has given Mario and Sonic at the Olympic Games a rating of E for Everyone. 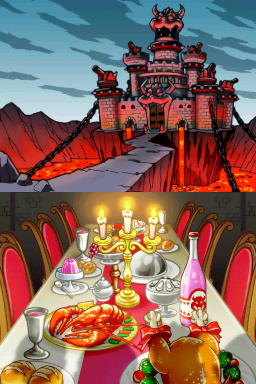 Juex-France has recently posted the following screenshots. Below are the confirmed official Olympic events. 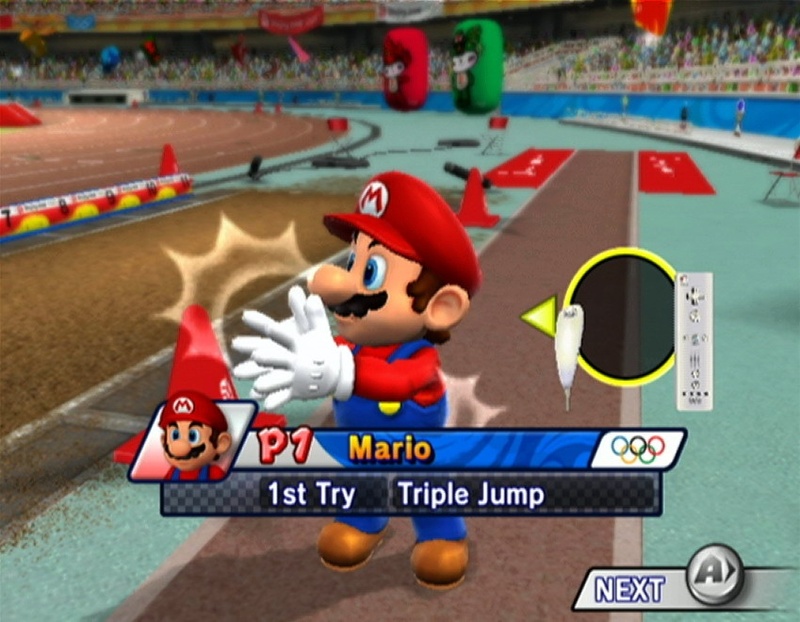 Below is a neat little video that illustrates how “Field – Triple Jump” will work, followed by the press release regarding the game. LONDON (September. 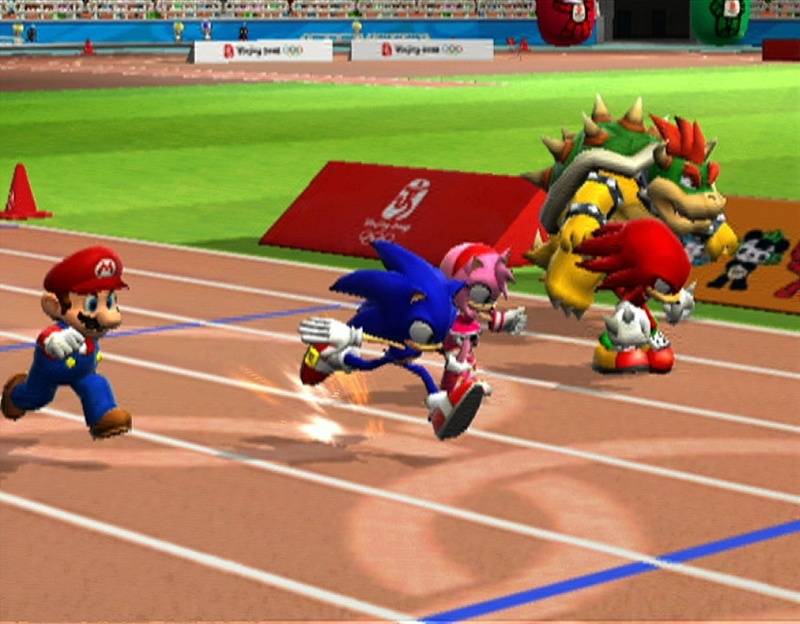 26, 2007) – SEGA Europe Ltd and SEGA® of America, Inc., today revealed details of the exciting blockbuster title, Mario & Sonic at the Olympic Games™. 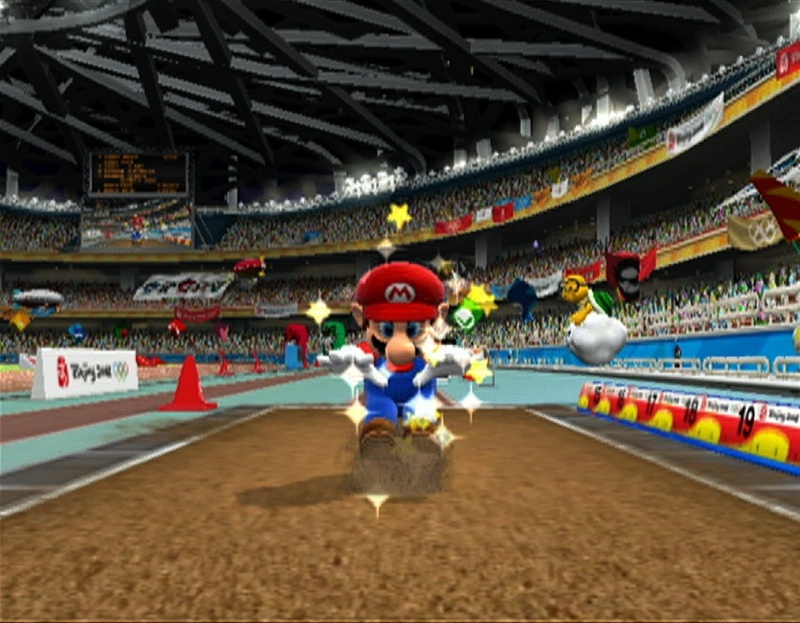 Published by SEGA across Europe and North America, and published by Nintendo in the Japanese market, Mario & Sonic at the Olympic Games is licensed through a worldwide partnership with International Sports Multimedia (ISM), the exclusive interactive entertainment software licensee of the International Olympic Committee (IOC). 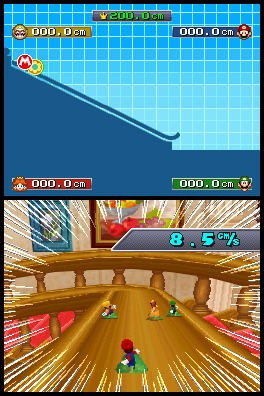 The interactive Wii controls include actions like swinging the Wii Remote™ to simulate hammer throw, notching the Nunchuk to shoot arrows, and replicating swimming strokes. 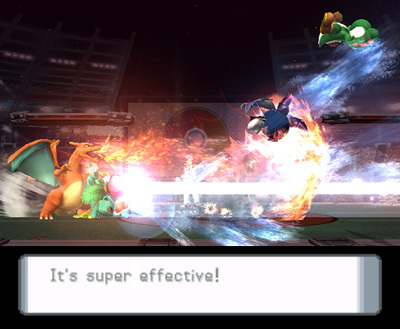 Players can also discover the best way to win a game by experimenting with different movements to discover secret boosts to propel them towards a win. 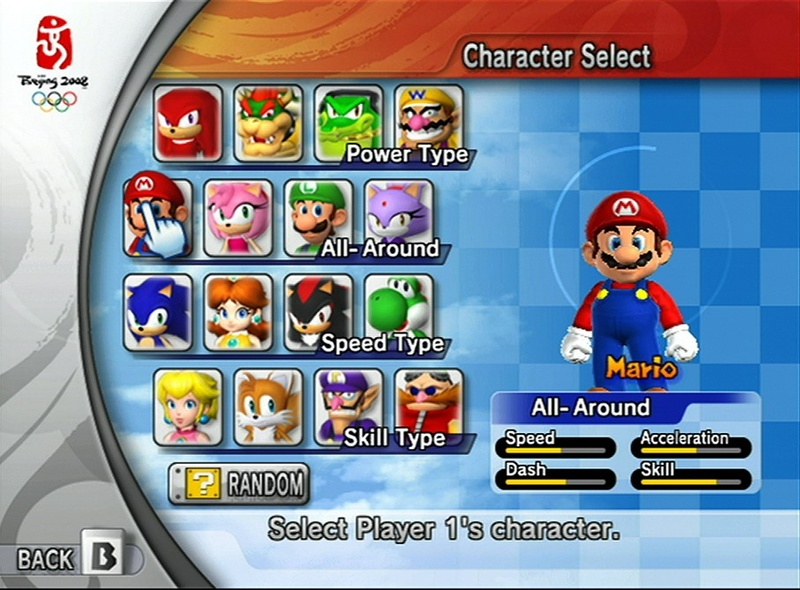 With four playing styles to choose from, players can decide their game strategy: all-around, technical, speed, and power – for example: Mario and Amy (All-around), Peach and Tails (Technical), Sonic and Yoshi (Speed), and Knuckles and Bowser (Power). 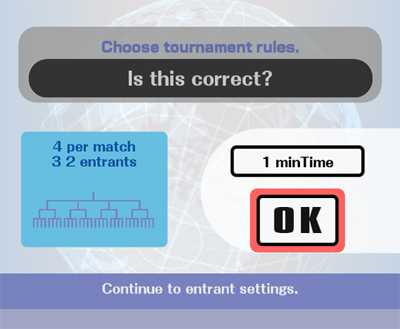 Players will be able to choose and try out, in both single and multiplayer mode, each event individually with Single Match mode (where players can choose their event and play until they score top marks). 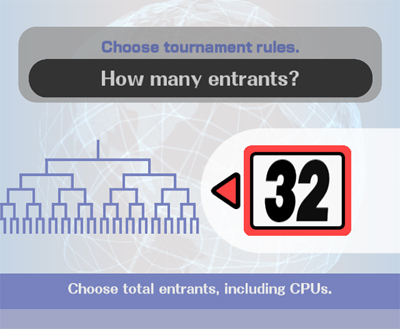 They can also compete for the highest overall score in a series of events in Circuit mode (where players can either create their own circuit by choosing the individual events, choose a pre-determined circuit, or randomly generate a circuit). 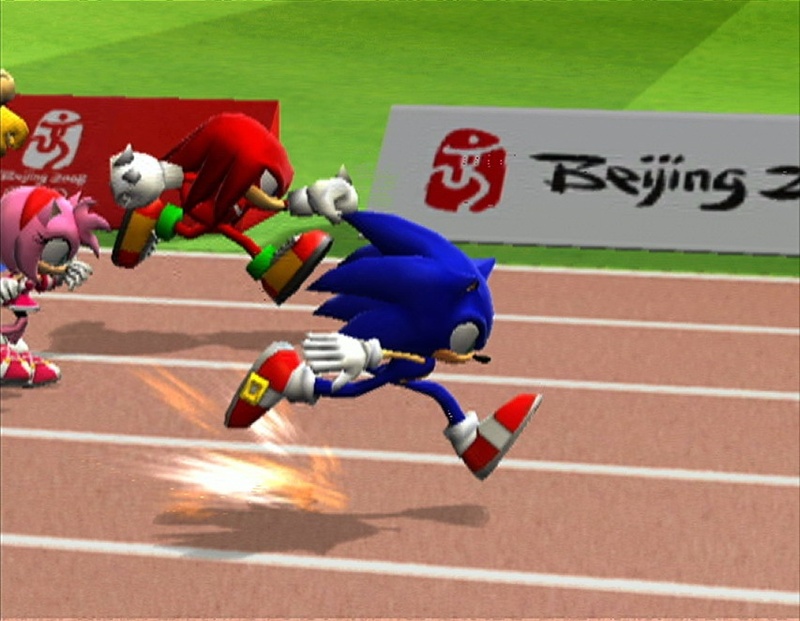 Gamers looking for extra tests of their athletic abilities can choose the single-player Mission mode and earn top marks on challenges made for only the toughest athlete. 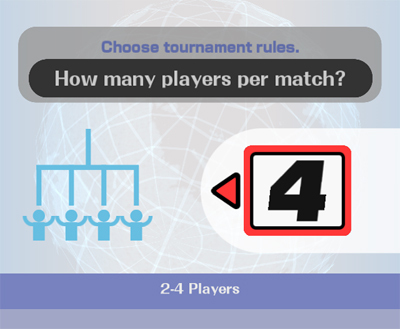 Additionally, gamers can learn about the history of the Olympic Games through trivia, quizzes, and mini-games and unlock all-new facts and figures from past Olympic Games in the Gallery. 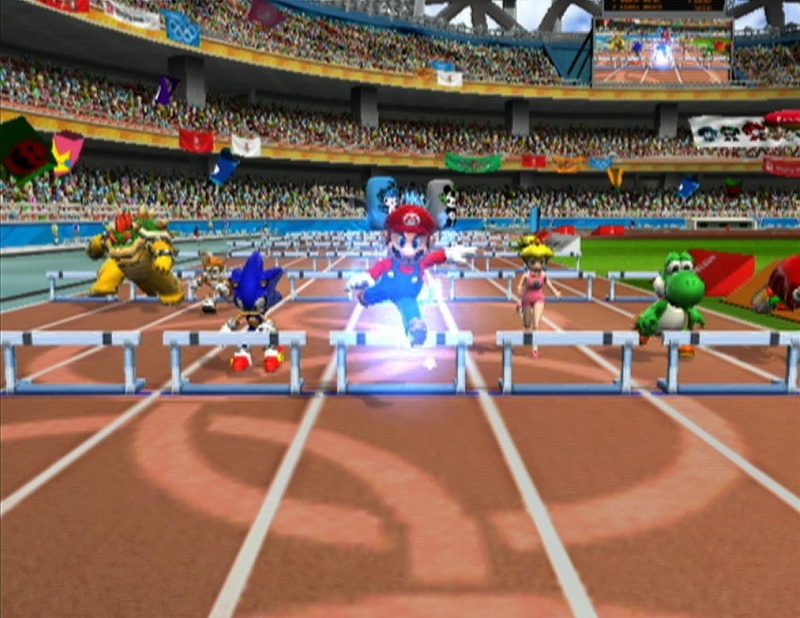 Mario & Sonic at the Olympic Games will be in-stores across Europe on November 23, 2007 for Wii, and Q1 2008 for the Nintendo DS. what beth released to the press. 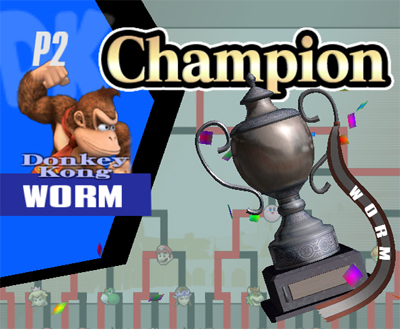 After nearly 12 years with Nintendo, I will be leaving the company at the end of this week. 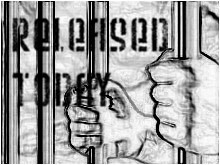 I am not relocating to the Bay Area with the company. 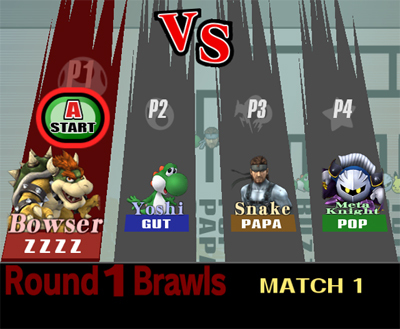 It was a very tough decision, but ultimately my family and I decided it wasn’t the right move for us. 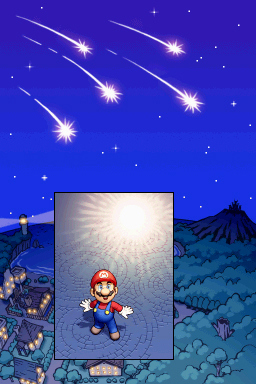 My last day at Nintendo is Friday, Sept. 28. 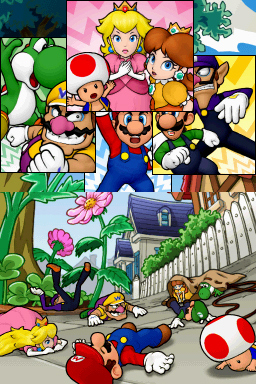 I have thoroughly enjoyed my time at Nintendo and working with all of you. I’ve helped launched many products over the years, but I think what we’ve done in the last few years has been the most exciting. 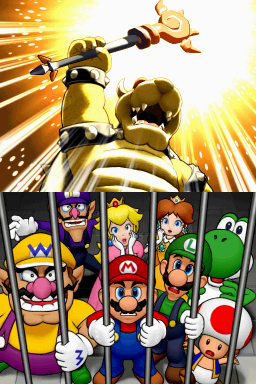 It is an amazing time in the industry right now and there is so much more to come from Nintendo. 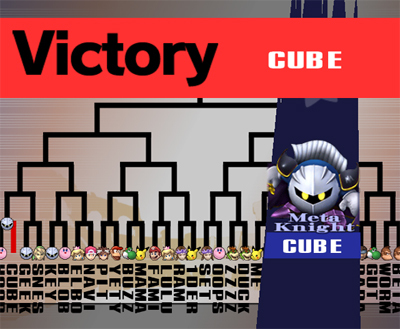 It’s also worth noting that Julia Roether, a PR head at Nintendo, had left her post as well. Roether’s auto-reply on her email says the following. I am no longer with GolinHarris. Please contact a member of the media team [at external agency Golin Harris] and they should be able to help you out. 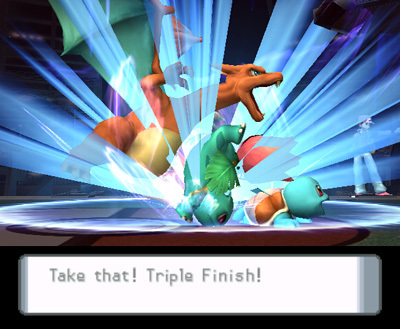 Today the DOJO was updated with information Pokémon Trainer’s Final Smash, a move called Triple Finish. 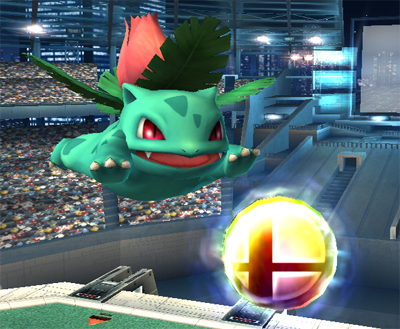 Once just one of your characters grabs the Smash Ball, the other two Pokémon come out and combine there powers to make one super powerful attack. 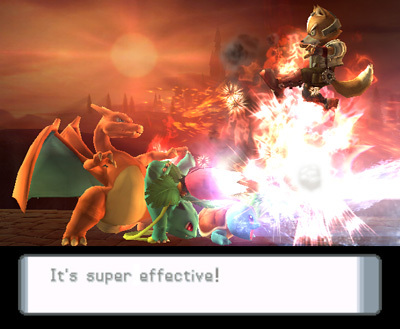 Squirtle uses Hydro Pump; Ivysaur uses SolarBeam; Charizard uses Fire Blast. Anyone in close range will be greatly effected. 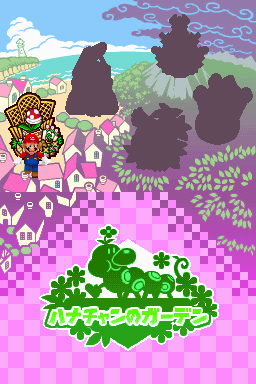 Nintendo also gives a peace of retro heaven, that’s right, we get the Game Boy franchise’s traditional dialog box while the attack takes place.